Annoyed by stubborn engineers who insist on using traffic engineering standards to set speed limits, the Montgomery County Delegation is seeking to remove traffic engineers from the decision process with legislation that which would allow the county to arbitrarily lower speed limits to 20mph without any traffic engineering justification at all for doing so. House Bill 0337, would allow Montgomery County to lower the speed limit "on all highways in a business district and undivided highways in a residential district" from 30mph to as low as 20mph. This includes a vast number of roads in the county. It specifically includes most speed camera locations where the speed limit is currently 30 or 35mph, meaning the speed limit at many existing speed camera sites could be dropped by 5 or 10MPH overnight! The most significant change in bill however is that it specifically states that Montgomery County would have no requirement to provide any traffic engineering study to justify the reduced speed limits. Current state law permits speed limits to be lowered to 25mph if traffic engineers perform an engineering study and determine the speed is justified. 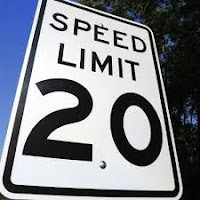 The new bill would eliminate this requirement in these locations, allowing politicians or political appointees to make this decision without the burden of actually having a traffic engineer look at the road to determine whether a 20mph speed limit makes any sense. 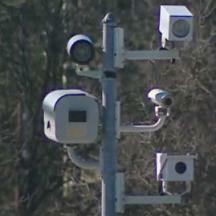 Lowering a 30mph speed limit to 20mph would make it cost effective for Montgomery County to use speed cameras in locations where traffic engineers had previously determined 30mph was safe, and since safe previously law abiding motorists would now be "speeding", speed cameras would now issue enough citations to be cost effective.